Clinton’s Mecate Reins are a must-have if you’re serious about applying the Method! 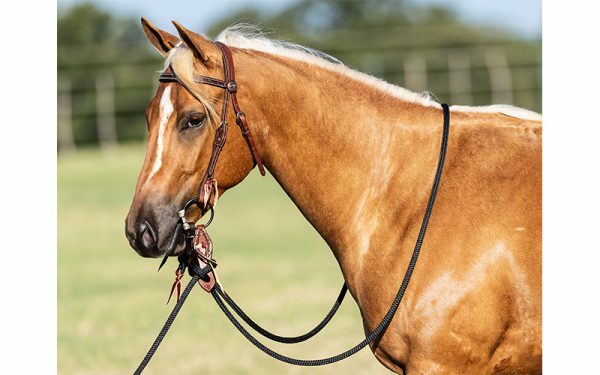 These 22-foot reins provide easy-to-adjust loop reins as well as a built-in lead rope you can use to tie or work a horse from the ground. Combine with our slobber straps to provide immediate relief from pressure for your horse, which will speed up the training process. No need to carry a halter or lead rope on a trail ride. 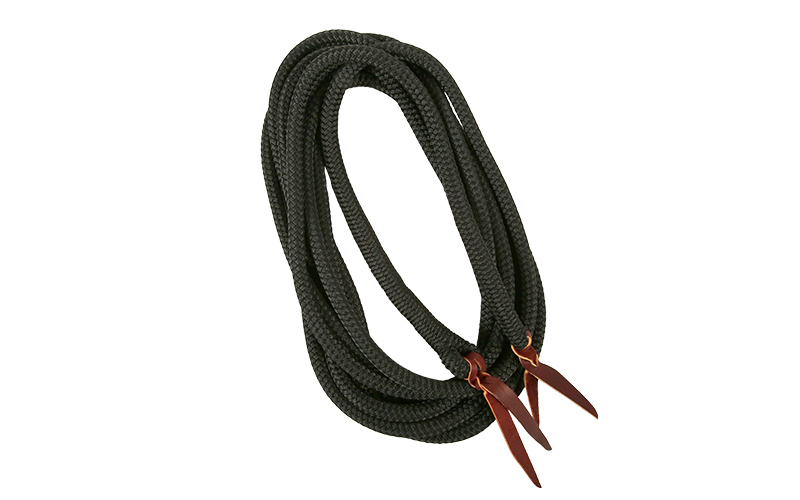 Use the end of the mecate to safely tie your horse up with the bridle – convenient for trail riding! If you’re riding and your horse acts up, you can safely dismount and move his feet from the ground to get him under control. Feels soft, pliable and supple in your hands. Perfect weight, not too light and flimsy, but not heavy either. Will not get slippery when wet or sweaty. Adjust the reins to fit every horse, from a short-necked horse to a long-necked horse and everything in-between. Great to use as a spanker to encourage the horse’s feet to move when under saddle. Each rein is hand-spliced to Clinton’s exact specifications and inspected to meet his high standards of performance. Download our Mecate Instructions to learn how to fasten the reins to your bridle and how to safely tie your horse on the trail.